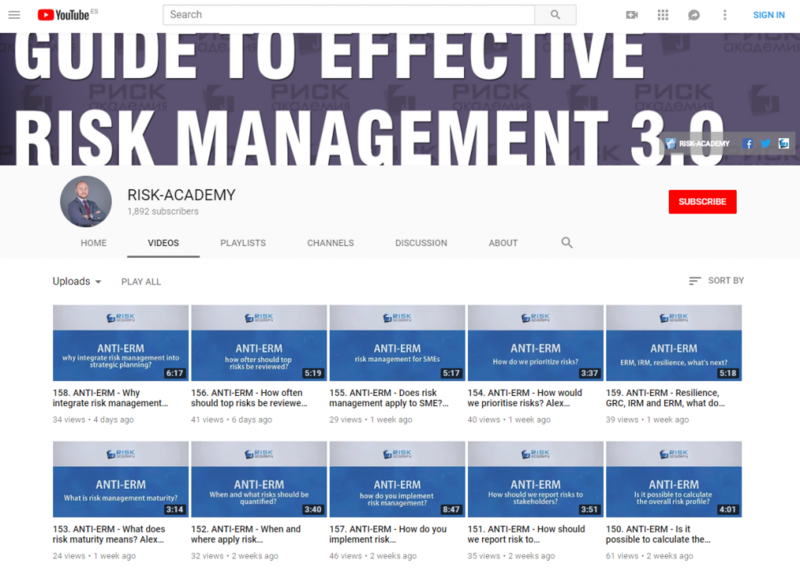 Alex Sidorenko from RISK-ACADEMY talks a quick way to test your risk management team level of maturity. Alex, as always, you have a very valid point, an one which alas made me a less mature risk manager than I thought I was when I was corporate. Fact of the matter is, that I did look at, what other functions were doing to deal with uncertainty, and I found that one area (of manufacturing) were using highly advanced predictive analytics and “big” (well medium big) data to optimise equipment maintenance. I asked, and was told that the reason they did that was, the maintenance was very expensive also because the equipment being maintained was non-productive – and yet, a break-down/stop due to poor maintenance was also extremely expensive and on top of that cumbersome to planning. So they eventually hired an expert in statistics and asked him to develop and deploy an approach to effectively optimise this. – which he did, and had been doing (well) for years. This is to me, advanced RM1 – but still quite valuable. I was focused on strategic risks (RM2) and peoples decisions, and never got close to his analytical proficiency or effort in my risk management. Nor did I really feel it would add value, so I didn’t even try. Thanks Hans, I think this is the third time I am writing RM1 and RM2 have nothing to do with strategic / operational. At all. Using stats for maintenance is RM2, excellent RM2 at that. RM1 are the useless artifacts that the board or regulator or external auditor wants.